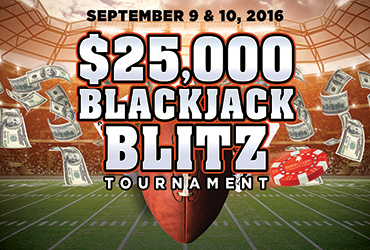 Tackle your share of the $25,000 Blackjack Tournament prize pool. August 1-31, receive automatic entry with 25+ hours of play at a $10 average bet. Must be 21 to participate. Ask a table games associate for more information.